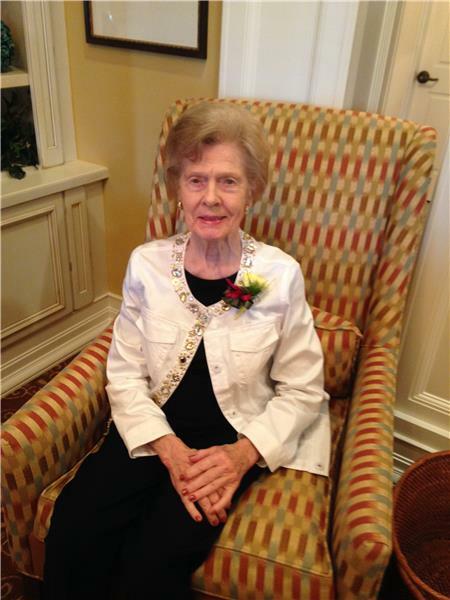 Averilee McLaurin Welch, retired Chief Probate Deputy for Hamilton County, Tennessee, who raised her children by quietly setting the example, and who was described by many as a true lady, died peacefully in Hospice care at her assisted living apartment The Bridge in Ooltewah, Tennessee on June 5, 2018. She was 93. She was preceded in death by parents, Colin McLaurin and Elma Harper Flynt, brothers, Douglas Rayborn and Rayford McLaurin, and husband, Alcus Z. Welch. She is survived by sons, John M. Welch and his wife, MaryAlice of Easley, S.C., and Paul G. Welch and his wife, Lisa of Shepherdstown, W.V., sisters, Imogene Collins of Jones County, Ms., and Glenda Duckworth of Smith County, Ms., brothers, Elbin McLaurin of Jones County, Ms., and Kenneth Rayborn of Cleveland, Tn., and grandson, David Welch of Marietta, Ga..
A graveside service with family will be held at Big Creek Baptist Church Cemetery in Jones County, Ms.
Local arrangements by Chattanooga Funeral Home, Valley View Chapel, 7414 Old Lee Highway, Chattanooga, Tn. 37421.